Dr Jayakumar Vadakekolathu is a Research Fellow in the John van Geest Cancer Research Centre. His research area mainly focused on understanding the interaction of three major components of tumour microenvironment (tumour cells, stromal cells, immune cells) at the molecular level. He is also interested in the identification of molecular mediators of the above interactions for creating a permissive microenvironment for a tumour immune evasion and metastasis. Dr Vadakekolathu is also responsible for managing the nanoString nCounter® FLEX Analysis System and Agilent Microarray Gene Expression platforms in the John van Geest Cancer Research Centre. These platforms are extremely cost-effective for global or pathway-centric transcriptional profiling of mRNA, miRNA, SNVs and proteins obtained from total immune cells, purified subpopulations of immune cells, frozen tumour sections or FFPE tissues. His main technical interest is in integrating various high throughput postgenomics analytical methods in the understanding of tumour microenvironment (TME) of solid tumours (primarily breast and prostate) and haematologic malignancies such as acute myeloid leukaemia (AML) under the guidance of the respective Research Leads. Dr Vadakekolathu obtained an MSc (Biotechnology) from Bharathidasan University (1999-2001), Tiruchirappalli, TN, India. After his Masters, he worked as a Senior Research Fellow at the Indian Institute of Spices Research (IISR), Calicut, Kerala, India for 5 years. He then obtained an MRes In Advanced Genomics and Proteomics Sciences (AGPS) which was jointly provided by The University of Nottingham and Nottingham Trent University (2008-2009). He subsequently completed his PhD in Cancer Immunology at Nottingham Trent University (NTU) under the direction of Professor Robert C Rees, Dr Stéphanie McArdle and Dr David Boocock in 2013. 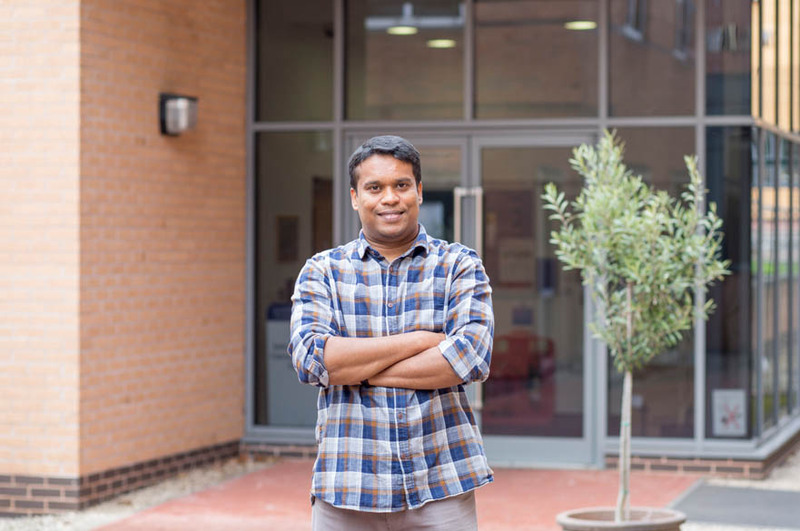 From 2014, Dr Vadakekolathu has been working as a Postdoctoral Research Fellow in the John van Geest Cancer Research Centre working on various projects led by Professor A. Graham Pockley (solid tumours) and Professor Sergio Rutella (haematologic malignancies). Understanding the role of protein methyltransferases (PMT) in adipose-rich tumours: We have identified a group of protein methyltransferases in regulating epithelial-mesenchymal transition (EMT), invasion and migration in prostate and breast cancer cell models. The expression of this PMTs is often regulated by inflammatory cytokines/adipokines such as interferon gamma and interleukin-6. We have also found that the activation of these PMTs in adipose-rich rumours correlated with poor overall and relapse-free survival in patients with cancer. High throughput transcriptome and proteome studies combined with a range of functional assays have confirmed their role in global epigenetic alterations. Current studies are focused on understanding mechanisms involved in the activation of these PMTs in TME and its targeting using small molecule inhibitors (Research Lead: Professor A. Graham Pockley). Immune gene expression profiling of clinical samples: I have successfully completed pan-cancer immune profiling of 450 children and bone marrow samples from adults with AML from a range of collaborative institutes (University of Sheffield; Princess Margaret Cancer Centre, Toronto; Children's Hospital of Philadelphia; Technische Universität Dresden and University of Regensburg, Germany). In collaboration with nanoString Technologies Inc (Seattle, USA), I have alpha tested a new 3D gene and protein haematological profiling panel prior to its commercial launch (Research Lead: Professor Sergio Rutella). Adaptive immune gene signatures correlate with response to flotetuzumab, a CD123×CD3 bispecific DART® molecule, in patients with relapsed/refractory acute myeloid leukaemia. Rutella S, Church SE, Vadakekolathu J, Viboch E, Sullivan AH, Hood T, Warren SE, Cesano A, LaMotte-Mohs R, Muth J, Lelievre H, Löwenberg B, DiPersio JF, Davidson-Moncada JK. Blood. 2018; 132: 444; DOI: https://doi.org/10.1182/blood-2018-99-111539. Interferon-γ induces distinct mRNA and protein profiles in acute and chronic myeloid leukaemia. Vadakekolathu J, Meredith R, Ross P M, Wagner S, Reeder S, Demirkan G, Kuhar R J, Ball R G, Pockley A G, Rutella S. Blood. 2017; 130 Suppl 1: 3945.